The Hon. Shaoquett Moselmane MLC of NSW held a cocktail reception in honour of Lebanese Ambassador Miled Raad and his wife Rola Azar in Rockdale Town Hall, Sydney, in the presence of Mayor of Rockdale Bill Saravinovski and MPs Jihad Dib, Chris Menez, Steve Kamper and other figures. Raad and Moselmane raised the Lebanese and the Australian flags in the outer courtyard of the municipality. The ceremony began with the Lebanese and Australian anthems. 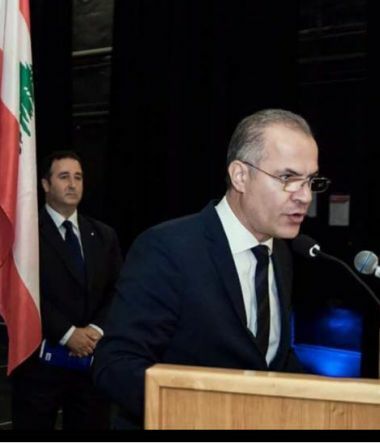 "I thank you for joining me in welcoming to Australia the recently appointed Ambassador to Australia from the Lebanese Republic, His Excellency Miled Raad, and wife Roula Azar. As well we extend our warmest greetings to the newly arrived Mr Charbel Macron and Mrs Joelle Nahoul, who will serve here in Sydney as Consul-General of the Lebanese Republic. Diplomats are not just public servants. They are the face of the country they represent. What they say and do impacts on foreign and trade relations. They are also the spokespeople whose role it is to articulate the message of the country they represent. The consul general on the other hand has the task of promoting trade and tourism and facilitating as well as serving and attending to the needs of the community and individuals alike. I know that the Ambassador and the Consul General will serve the community well and will attend to the needs of all equally. I am very pleased to welcome His Excellency Mr Raad, and CG Charbel Macron, to Australia as professionals with an extremely high degree of special aptitude and training in diplomacy. His Excellency comes to us with prior experience in Australia, having been Charge d’Affaires in Canberra from 2013 to February 2016. Mr Raad also has extensive experience as Charge d’Affaires in Pakistan as well as Consul at the Lebanese Embassy in Cairo. 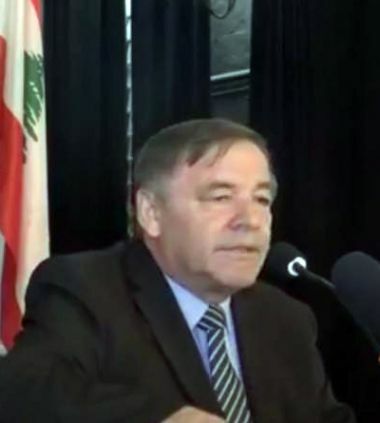 His long service to the Ministry of Emigrants will no doubt be of great use to him here in Australia which will obviously see him, as he is today, serving not just the Lebanese Republic but the many emigrants of the diaspora that live throughout different parts of Australia. The most difficult part of the job always falls on the partner behind the diplomat and in this case it is Roula Azar. She will be the behind the scenes confidant, the silent achiever. 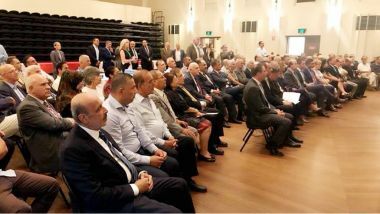 Saravinovski praised the Lebanese ambassador's input and the Lebanese community’s contributions in Australia." “I am pleased to be in Australia at the head of Lebanese diplomacy. We will work to strengthen the Lebanese-Australian relations at all levels, especially since these relations extend for many years. He talked about his experience with migration; his parents migrated to Africa in the fifties. 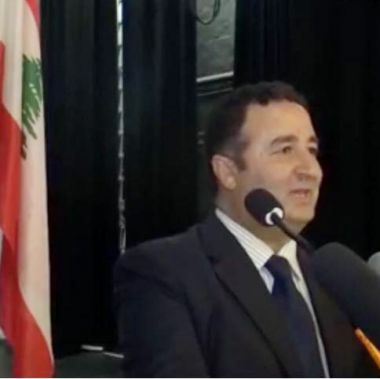 He said he chose to work in the diplomatic field and served in the Lebanese embassy in Canberra as Charge d'Affaires from 2013-16 before he was appointed ambassador to Lebanon." Moselmane and Saravinovski presented tribute to Ambassador Raad followed by a cocktail party.